The year 2019 marks the 100th anniversary of the creation of the International Astronomical Union. Among the many celebrations that will take place, I am involved mainly in the Inspiring Stars exhibit that was opened at the IAU’s General Assembly in August 2018 in Vienna. This is a collaborative initiative in which resources related to astronomy research, communication and development are collected via an open call around the world and combined in a unique interactive exhibition. The Inspiring Stars exhibition at the General Assembly of the International Astronomical Union (IAU) in Vienna, Austria. 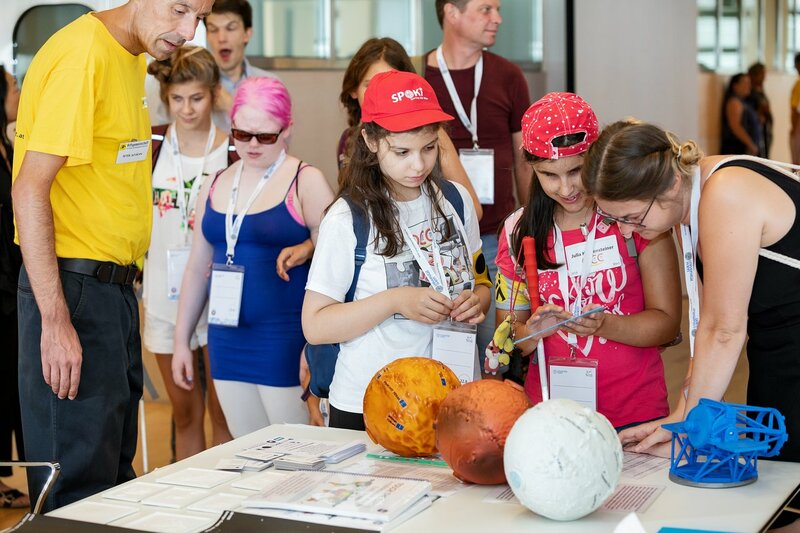 Inspiring Stars is a traveling international exhibition, led by the IAU and supported by the American Astronomical Society, that is designed to highlight, support, and promote inclusive initiatives to address equity and equality of participation in the field of astronomy. Credit: IAU/M. Zamani. As the Spanish National Outreach Coordinator in Spain I am coordinating and supporting the activities that are being organized in Spain during 2019 to celebrate the IAU100.